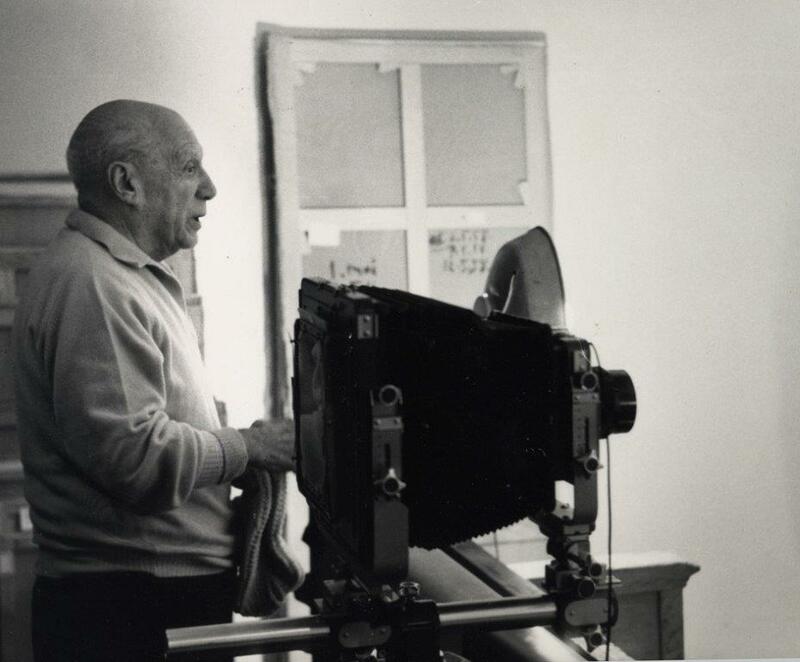 Picasso next to the Linhof camera that was used to take pictures of his works for the catalogue raisoné published by Christian Zervos (Argostoli, Greece, 1899-Paris, France, 1970). Art historian, Zervos met Picasso in 1926 when he founded the magazine Cahiers d'art. He is also the author of the catalogue raisonné of all Picasso's work. The introductions of each of its 33 volumes (published between 1932 and 1978) are a pioneering work in the history of modern art.